3. 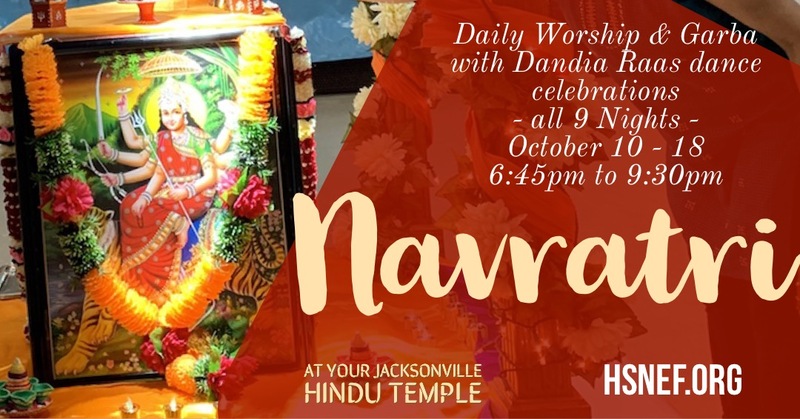 Suggested donation of $201 to bring your own Aarati & offer on all nights during the event. 5. Dandia sticks are available for sale at the office. $3 for Regular Sticks, $5 for Metal Sticks. 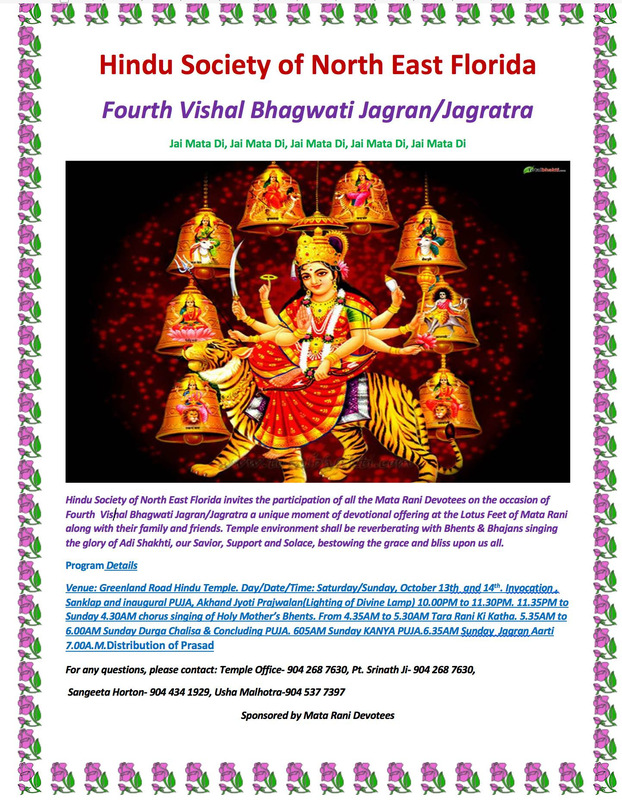 Hindu Society of North East Florida invites the participation of all the Mata Rani Devotees on the occasion of Fourth Vishal Bhagwati Jagran/Jagratra a unique moment of devotional offering at the Lotus Feet of Mata Rani along with their family and friends. Temple environment shall be reverberating with Bhents & Bhajans singing the glory of Adi Shakhti, our Savior, Support and Solace, bestowing the grace and bliss upon us all. 11.35PM to Sunday 4.30AM chorus singing of Holy Mother’s Bhents. From 4.35AM to 5.30AM Tara Rani Ki Katha. 5.35AM to 6.00AM Sunday Durga Chalisa & Concluding PUJA. 6 AM Sunday KANYA PUJA. Please consider sponsoring Jagran. May Mata Rani blessings with you and your families. 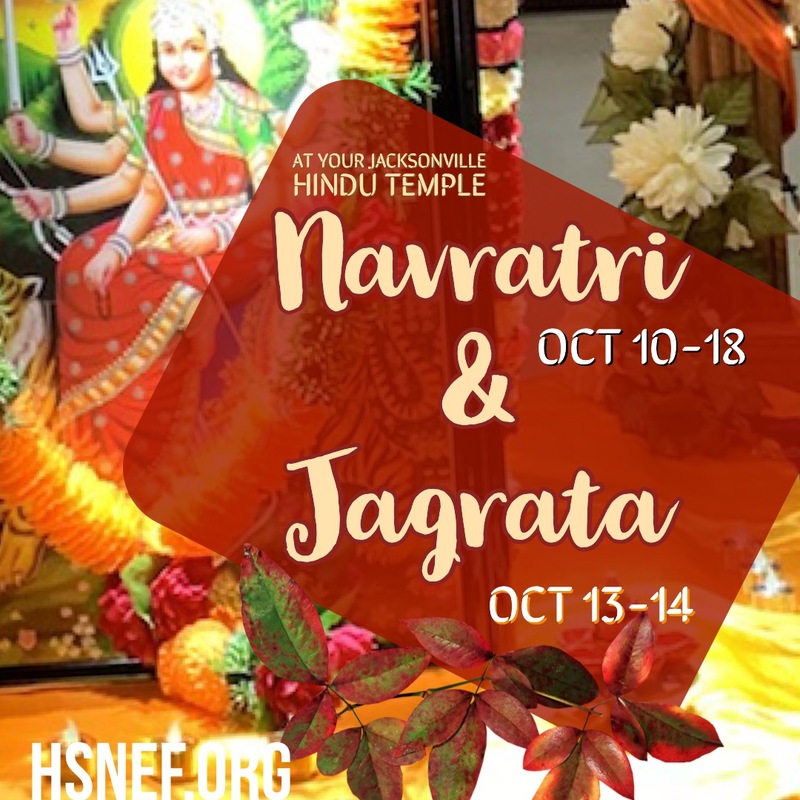 We also want to remind you that all proceeds and contributions directly benefit HSNEF – which is a registered 501c Non-Profit charitable organization. As always, we truly appreciate all your support and your active solidarity.